​When: The third Thursday of the month from 6:30-9:30 p.m.
Where: Lawrence Tech University (See map links on the home page). ​Speaker: Our monthly speakers are identified on the home page. Everyone “signs in”, when you sign in you are signing a non-disclosure agreement (what happens at the meetings, stays at the meetings). There is some networking time at the start of the meeting to talk with others about projects and ideas. Our members are at all stages of the invention process, from having an idea to successful inventors/entrepreneurs, friendly like minded people, willing and eager to network, share resources and offer advice. We have a guest speaker each month, covering a wide range of topics such as, inventing, the process from idea, to marketing your products and IP (intellectual property) protection. We have announcements for a variety inventor subjects. Question and answer session, where anyone can present questions to the group. More networking, one on one or small groups, or maybe getting more in depth information from someone who answered your question. Don't be afraid of getting help, but learn the process of taking your product to market before making costly mistakes. Don't spend your hard earned money unwisely, learn what you can do to reduce costs, even if you seek outside help. 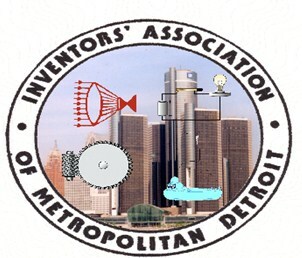 Article written by Marty Sovis, President of The Inventors Council of Mid-Michigan. During our last meeting we had a lot of discussion about Invention Promotion Firms which included a personal account by one of our members who was scammed by a firm. I would like to dedicate this month’s comments to give our members a short guide or basic set of rules to keep in mind when searching for assistance in developing an idea. Most of this information is taken from an article written by Bob Lougher, from the Inventors Awareness Group, written in the Inventor’s Resource Guide in 1997. The items are still true today. I have put in a few additions based on the year’s I have dealt with inventor groups gleaning the items to be aware of. There are numerous ways to verify the credibility of any firm that you contemplate doing business with. 1. Contact the Attorney General’s office of the state in which they are headquartered for any complaints against that firm. have benefits, they may not be the one’s to contact for the credibility of members. the number of inventors that have made more money that they invested. reopen using a different name when they have been in trouble legally. 5. Find out how long they have been in business under their present name. 6. Find out if they or their affiliates were a party to Federal Trade Commission punitive actions. 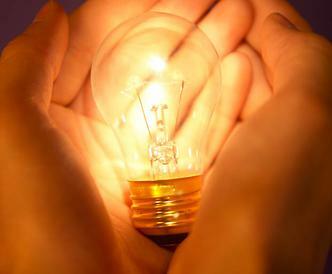 and marketability of your idea, when in fact they have not. 8. Find out if they are licensed to operate in your state. allow us to do that”. You’re not trying to steal their clients idea, you want the firm’s credibility. number of pages in the report; it is the quality of information not the quantity.